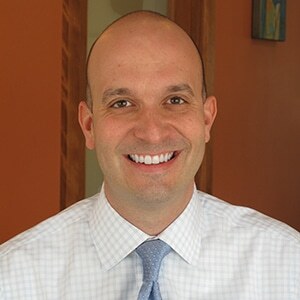 Scott Farley, DDS, is a Western New York native. Growing up in Lockport, NY, where his friends and family still reside, he knew from a young age that he wanted to be an orthodontist. Prepared for the long years of school ahead of him, he decided to enroll at SUNY Geneseo for a bachelor’s degree in Biology and then continued on to SUNY Buffalo for his Doctor of Dental Surgery degree. There he met his future-wife, Jill while they both studied dentistry. After graduating among the top students in his class, Dr. Farley then attended the University of Pittsburgh to complete a three-year specialty residency in Orthodontics and Dentofacial Orthopedics, while Jill served as a dentist in the US Air Force. They both knew, though, that Western New York was their home and so they moved back and got married. Dr. Farley has been practicing locally since 2007 in a large orthodontic specialty practice. 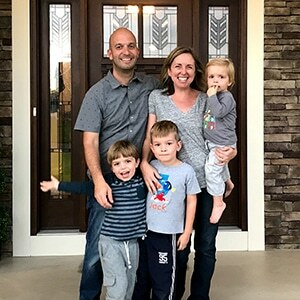 After almost four years in practice as an orthodontist, he decided to start Farley Orthodontics in Jill’s hometown of Wheatfield, one of the fastest-growing areas in Western New York. Dr. Farley truly enjoys both the art and science of being an orthodontist. He is a member of the American Dental Association, the New York State Dental Society, the 8th District Dental Society, and the American Association of Orthodontists. In 2015, he was named the president of the Niagara County Dental Society. He treats both children and adults in a caring, fun manner, and has been trained in the most advanced techniques, utilizing self-ligating braces, clear braces, digital x-rays, Invisalign and many others. When he is not helping people improve their smiles, Dr. Farley has many interests and hobbies. As an outdoor enthusiast, he enjoys hiking, camping, backpacking and is a member of the Adirondack 46ers, for which he and Jill hiked up 46 mountains in the Adirondack Park over 4,000 feet high. In the summer he also enjoys playing golf, but is much better at disc golf. When the snow begins to fly, he heads for the hills to go snowboarding. At home, Dr. Farley is often playing one of his vintage Martin ukuleles and watching sports on television, especially the Bills and the Sabres. Dr. Farley and his wife Jill have three little boys, Jack, Sam, and Max. The Farley family lives in Pendleton, along with their cat, Marcy.